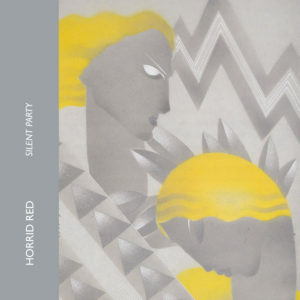 The Silent Party EP continues Horrid Red’s exploration of arcane aspects in new wave & post-punk. This freshly hatched EP recorded March 2011 in Berlin & San Francisco, in anticipation of their summer tour, kicks off with the somewhat funky title track. It might be a fun party jam if it wasn’t so creepy. From there it descends into the Red Western nightmare that is The Horror & The Cruelty, built on a galloping Wall of Voodoo beat & twangy guitars. Meanwhile the b-side mini-opus Marble Staircase Parts I & II comes on like a Colin Newman solo track, with atonal crooning over watery guitars, and dissolves into a morbid piano ballad (featuring Clay Ruby tickling the ivories). Tying it all together as always is Bunker Wolf’s inimitable German-language rants & producer Edmund Xavier’s high lonesome guitar melodies.